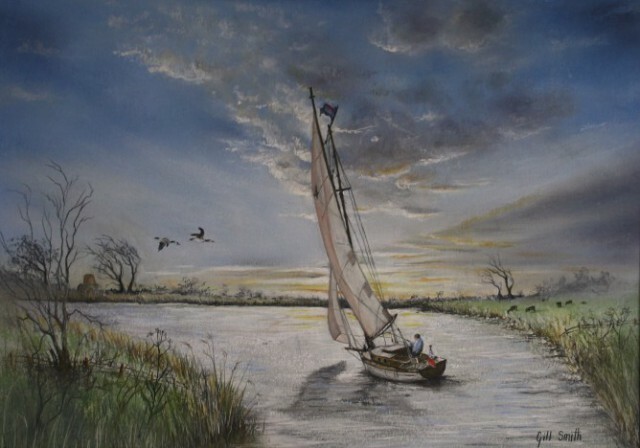 The end of a perfect day, captured approaching St Benet’s on the River Bure on the Norfolk Broads. A sky to remember. Tranquility at it’s best, using a combination of top quality pastel pencils and various soft pastels for variety of texture.